Next year sees the 50th anniversary of the group’s formation and we’ll be pleased to hear of any historical documents or photos lying around – or personal observations of earlier walking days. For example, at great expense, we’ve recently picked up from eBay a booklet of 20 walks around the local area produced by us back in 1984. 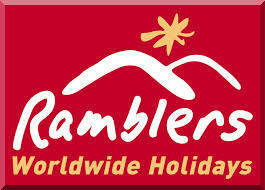 Any ideas of how we should celebrate this 50 year milestone will be gratefully received. Five hardy souls turned out for this one in spite of a very inclement weather forecast. Foulstone Road where we were met by extremely squally hail and sleet showers. These continued through to Bamford Edge with intervals of bright clear weather which allowed fantastic views across towards Edale and Bleaklow, looking like a mini-Switzerland with snow on the higher tops. Nineteen good miles enjoyed by all. The ‘long public transport’ walkers went to the south of the county. After the train to Derby followed by a bus, Jean led a group of seven from Ockbrook – passing abundant bluebell woods in full bloom – to Risley and on to Breaston, where lunch was taken in the memorial gardens. Leaving Breaston in cold sunshine, the walk continued via Great Wilne and St Chad’s Water to finish in the village of Draycott. A reminder of the wonderful countryside on the doorstep of urban Derbyshire. A ‘dale based’ walk by Eric from Middleton by Youlgreave for the ‘medium car’ group today. A visit from the BBC for a walk and discussion about low savings rates, with Personal Finance correspondent Simon Gompertz. Chatsworth managed to avoid the worst of the afternoon’s snow showers. A linear walk from Lumsdale to Matlock via Tansley and Riber for the ‘short bus’ walkers. A group of 19, led by Reg, were confronted with hailstones, and a mixed bag of threatening clouds – but with superb views of Matlock and the Derbyshire Dales in the sun on this 6 mile walk. 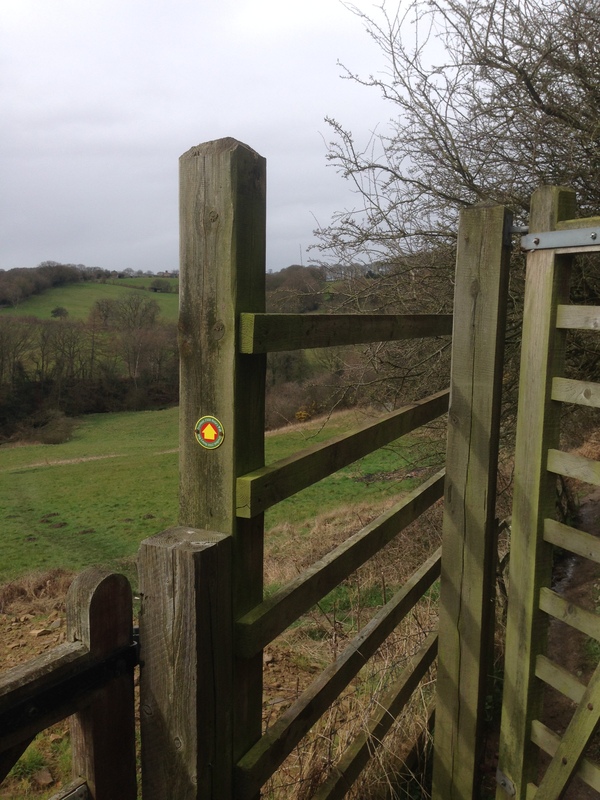 A good Hartington circular via Alstonefield – with a descent to the Dove via Gipsy Bank. There were 12 of us on today’s 9 mile walk, which took us through very varied terrain – valleys, hills, woodland, open moorland and riverside paths. We began at the Whitworth Centre in Darley Dale, which was given to the people of that area by the wife of Sir Joseph Whitworth, innovative 19th century engineer and inventor. He is most famous for devising a standard for screw threads and designing the Whitworth rifle – used by the French army and the Confederates in the American Civil war. From Darley Dale we climbed steadily through Ladygrove high above the dams of the former cotton and flax mill to Sydnope Hall, near where we had a coffee break in warm sunshine. Continuing uphill, we crossed the moorland Open Access land at Bumper Piece, then began the steady descent down through the glorious display of bluebells in North Wood. At Peak Rail’s Rowsley South station, we noted the progress being made on the construction of the new cycle way between Matlock and Bakewell. yew tree before heading back to the Whitworth Centre. The modern day intrudes however. A strange amalgam of Smythson Elizabethan mansion with wooden spiral staircase in one vertical half of the building ; a modern carpeted holiday cottage in the other. 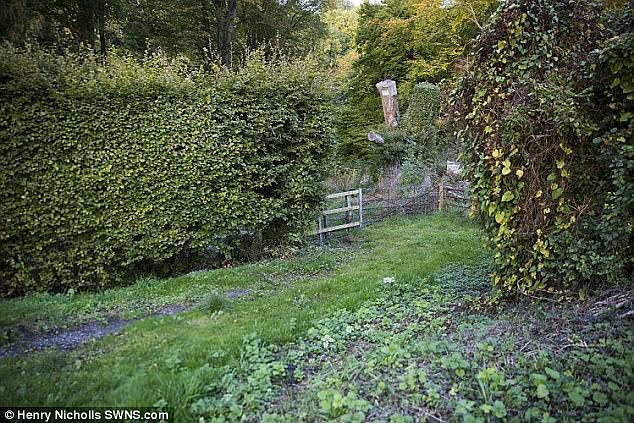 Even the lady greeting you, immaculately dressed as Jane Eyre, was seen to discreetly retire to an adjoining field to make a phone call. A building often walked by on Footpath WD81 7/2 by those heading between Stanage Edge and Hathersage. 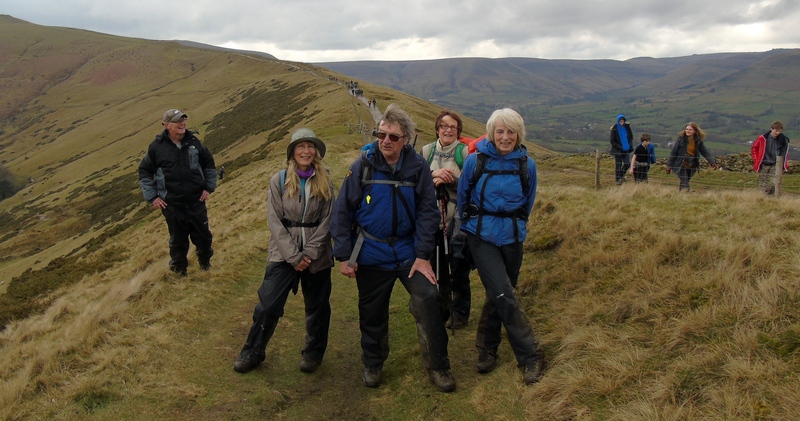 The Hathersage Round Walk will be there on Saturday 30 April. Most people leave Sheffield to go into the Peak for a walk, but it’s a green city not without interest and we put it onto our list of places to go from time to time. Basil led 11 on a walk of two halves. The morning session was a Meadowhall circular taking in Firth Park and Wincobank; the afternoon was a walk down the Sheffield & Tinsley Canal to the city centre. An Eyam circular via Stoney Middleton, Coombs Dale, Longstone Edge, Cressbrook Dale, Wardlow Mires, and Foolow, led by Gordon. Barbara and Ken’s group included a visitor from Australia. Beautiful weather, easy terrain, hardly any mud. It began on the Tissington Trail at Alsop Moor, then through Biggin village and Biggin Dale on to Wolfscote Dale, before a gentle climb back up to the Trail. I took the Sunday walkers round my new high level Dovedale Skywalk route. Here the ‘magnificent seven’ are right on the end of the ridge going east from Bunster Hill where we had lunch, looking down to the river and crowds far below and across to Thorpe Cloud (behind in the pictures). Most of the route is on access land, on little used paths along the tops of the dales with great views down into the dales which gives a totally different perspective (a bird’s eye view) from what you see when you walk along them. We were blessed with good weather and clear views into the distance too. The route goes from Alstonefield to Stanshope, along the top of Hall Dale, then Dovedale to Air Cottage & Bunster Hill, and then left along the ridge to the end before dropping down to the river. Return is up the other side & all the way along the top to The Nabs & Baley Hill before dropping down again to Milldale and a last cruel climb back to Alstonefield. A small but select group, 11 of us which included 3 visually impaired and 2 guide dogs, met at the car park at Ford for a 5 mile walk around the Moss Valley. The route took us to Geerlane, then over to Carterhall Farm, from there we headed towards Gleadless, and on to Ridgeway for lunch. All in glorious sunshine, albeit cold. Apparently no coins were picked up on the way. A dry, if somewhat grey day, for the first in a programme of short morning walks. 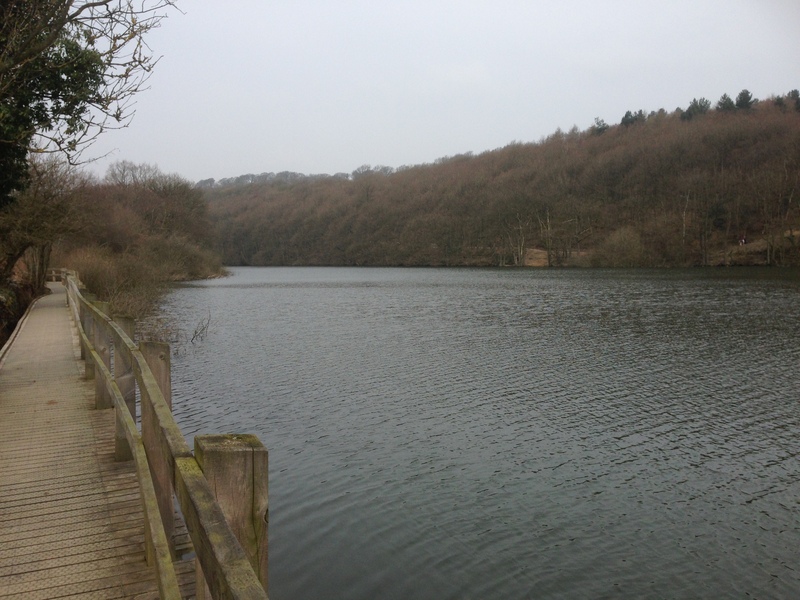 David led six from the 16A bus stop above Linacre on a circuit of the reservoirs before making tracks to the Holme Hall Inn for an optional lunch. A route of just over three miles in two hours. 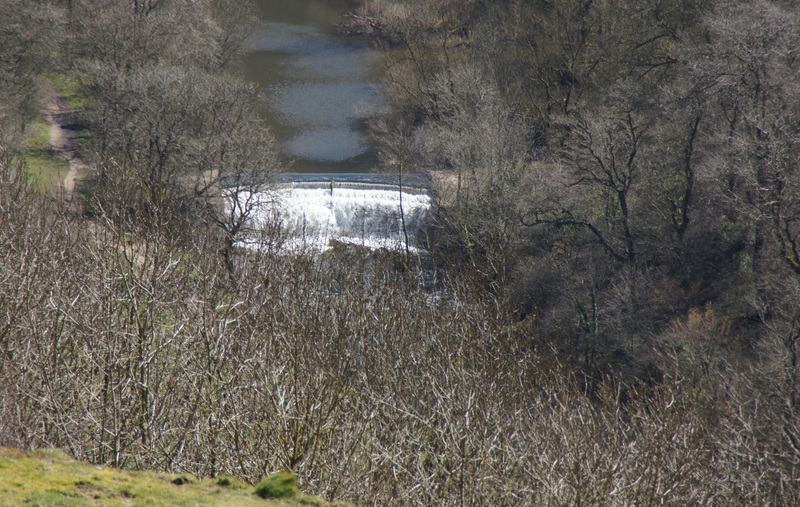 A magnificent spring day in the Goyt Valley. From the Derbyshire Bridge car park on the Cheshire border 25 walkers took a circular route via the Errwood Reservoir, Shining Tor, and the Cat & Fiddle. 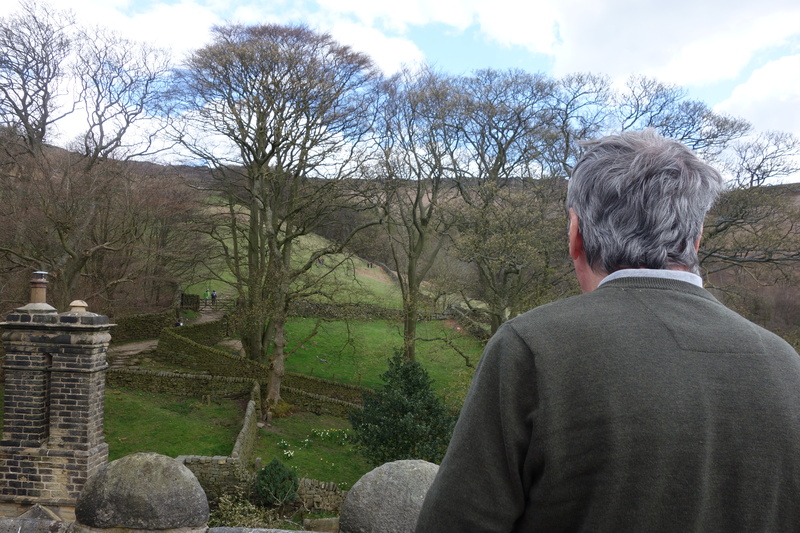 Lunch was in the ruins of Errwood Hall, even more beautiful when the rhododendrons will have flowered. Leaders were Gavin & Rhona. Congratulations to Hazel on a good first walk as leader. 20 bus walkers followed her on a Wingerworth circular from the Barley Mow. A meeting of the clans as they crossed paths en route with the car ramblers on their Holymoorside circular. Earl Grey’s Tower, and Stanton in the Peak. Our walks programme continues to be one of the most comprehensive in the Ramblers, with walks from 5 or 6 miles up to marathon level. One gap however, until now, has been a ‘very short walk’ category of 3 to 4 miles at a sociable pace – to cater for those in our Group who might be slowing down a bit, and appeal to people who are non members who might want an easier alternative. There are a few such walks in our summer programme which will be short, fairly local, and offer perhaps a drink in a pub or cafe on or at the end of the route. 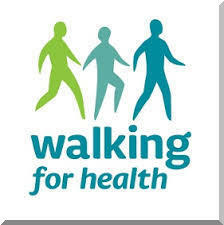 If there is support for them we can add additional ones at short notice to Walksfinder. 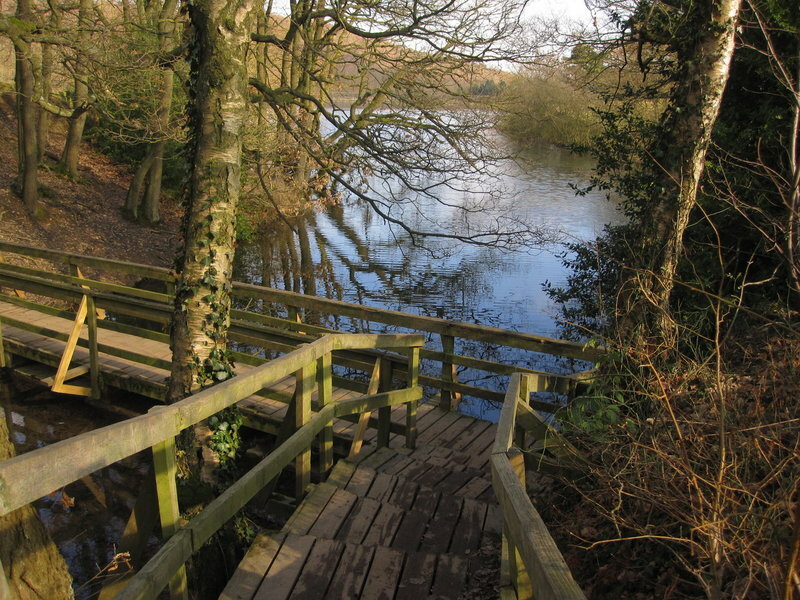 The first such walk is on Friday 15 April from Cutthorpe to Holme Hall. Members and non-members alike are welcome to join it. 14 walkers set off from Barlborough today in bright sunshine, led by Trevor. We walked through Spinkhill, past the famous Jesuit college of Mount St. Marys, where we had a coffee stop. Along the edge of fields and a disused arm of the Chesterfield Canal to Westthorpe. Lunch was in bright, warm sunshine on a grassy bank, just before the fishing ponds. We walked under the M1 motorway and through the village of Woodall. 16th century Barlborough Hall, now used as an independent Catholic day school. The route was 9.5 miles. Basil led a dozen bus walkers on a route from Dronfield to Chesterfield, via Barlow and Cutthorpe – based on the North Chesterfield Way. A typical day of April showers, but apart from one brief downpour, our leader managed to skilfully navigate between them. Today’s initial long walk from Hope began in abysmal weather conditions with driving rain and a cold wind. A start with a stiff ascent to Win Hill which could not be seen even when we got to it because of low cloud. Approaching Hope Cross there was some discussion as to whether to abort the walk, but we decided to carry on and ascend Kinder Plateau via Crookstone Knoll. Very wet underfoot with a lot of mud. 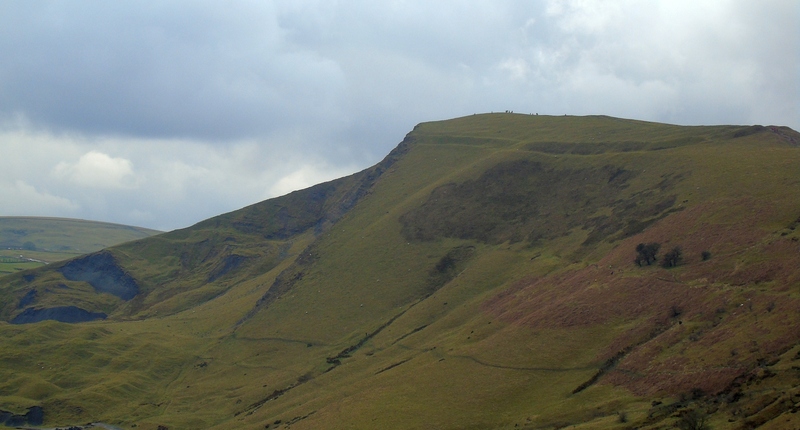 We made our way along as far as Grinds Brook Knoll and there decided to call it a day. Descending to Edale we made our way up to the Hollins Cross and Lose Hill environs, where the sun decided to appear for the first time in the day. Everyone enjoyed the walk in spite of the weather. I intend to put it on again later in the year when hopefully it could be completed. Nevertheless we managed 15.5 miles in 7.5 hrs. A group of six – Liz from Sheffield, Paul from Sutton in Ashfield, Hilda from Ilkeston, Diane from Derby, Roger from Chesterfield – and me.